Dividend America Commercial Lending provides construction loans for several specific areas of development: Assisted Living Facility, CCRC, Boutique Hospital, Student Housing and Single Tenant – National Credit Tenant Sale/Leaseback. Construction financing for new construction of Assisted Living Facilities, CCRCs and Boutique Hospitals is available through our partner who is a national investment bank. The loan is syndicated through a series of more than 500 local and regional banks. The loan is non-SBA/non-HUD and can close in as little as 90 days. 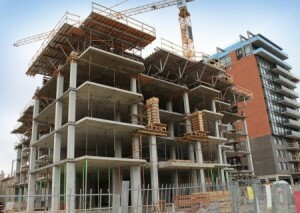 This loan is a 24 month construction loan that converts to a 4-year mini-perm after completion. The loan is a 75% LTC/LTV and the equity must be real equity (ie, no TIF, tax abatement or contractor contribution givebacks). Through this program developers have the opportunity to get up to 100% of their project funded. From purchasing the entire project at entitlement to simply investing equity to qualify for a construction loan, our partners are aggressively seeking projects to get involved in. Seeking projects in major and secondary markets and will even look at secondary colleges and universities. We are especially interested in developers with a pipeline of transactions. Sale/Leaseback, Single Tenant – National Creidt Tenant new construction and new development is available for up to 100% financing. Our partners are investing in these opportunities are aggressively seeking opportunities to purchase new development or invest in new construction opportunities in major cities and strong secondary markets all of the USA. Creative, aggressive and strong are the words we use to describe this channel funder! For more information on all of these programs email executive summary, sponsor bios along with sources & uses documents to moc.a1555971763cirem1555971763adned1555971763ivid@1555971763ssorg1555971763m1555971763 or call Michael Gross, President, direct at 404-819-4511.